Lord Waverley is the Founder and Chairman of SupplyFinder (www.supplyfinder.com), which connects the world’s professionals & organizations with opportunities, investments, industry news & sector specific information, and is publisher of Showcase International (www.showcaseinternational.org). 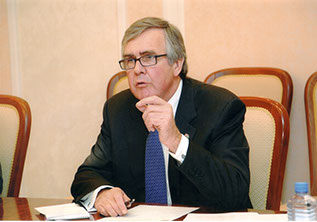 He advises the Chairman of the CCC Group (www.ccc.gr) on strategic development globally & established and co-coordinated the Aktau Declaration on Joint Actions (www.aktaudeclaration.org) of the major oil and gas operators in Kazakhstan. He Chairs the Advisory Council of Abacus Emerging Markets (www.abacusem.com), an independent Anglo-Australian specialist investment-banking firm and is Chairman of the New Silk Road Forum (www.nsrforum.com), in addition to being an Honorary Co-Chairman of the Washington DC based International Tax and Investment Centre (www.iticnet.org). He has worked in Africa, the Middle East and South America. Lord Waverley is an independent member of the House of Lords, entering the United Kingdom Parliament in 1993. He has contributed regularly to Parliamentary proceedings on a wide range of topics and addressed many challenging issues of the day, travelling extensively. 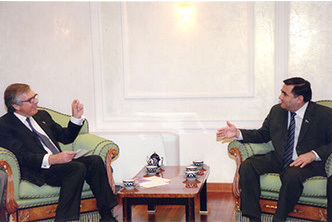 He founded & chaired the All-Party Parliamentary Groups for Central Asia (Kazakhstan, Kyrgyzstan, Tajikistan, Turkmenistan and Uzbekistan) in addition to heading the regional Central Asian Group. He has observed national elections on behalf of the Commonwealth. A prime objective had been to put into place working-relationship mechanisms between the Parliaments of Central Asia and Mongolia in order to address a missing link to bilateral relationships, and to bring greater understanding of the strategic importance of Eurasia. 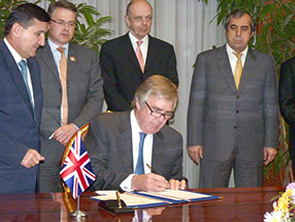 Lord Waverley negotiated Memoranda of Understanding with each of the Parliaments in recognition of the desire to strengthen Parliamentary and bilateral cooperation, and being committed to political, economic, social understanding and development. He created and produced Parliament Revealed (www.parliamentrevealed.org), a web based project to accommodate the desire of Parliaments in Central Asia to have an understanding of the workings of the United Kingdom Parliament. The website is currently in the process of being developed into multiple languages. Lord Waverley has received State decorations from Colombia, Kazakhstan and Kyrgyzstan, been honoured with a Yoruba Chieftaincy in Nigeria and is the recipient of the CEO Club BURJ award as Ambassador for British Business.